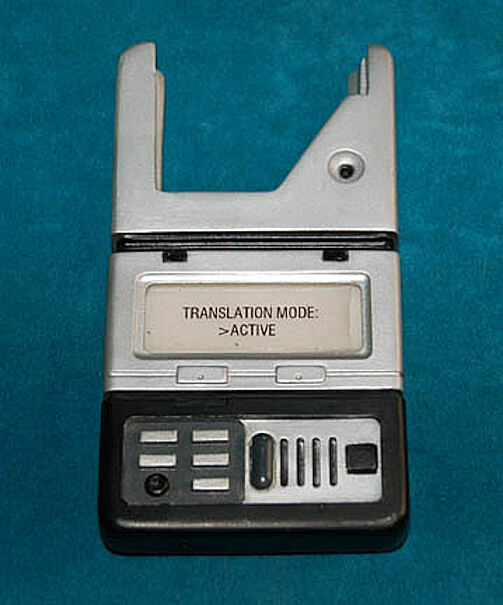 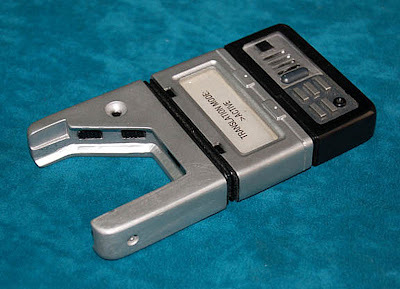 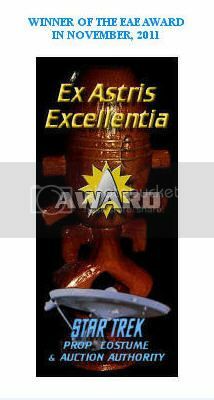 A cast resin hand prop universal translator device featured in various episodes of Star Trek: Enterprise. Painted metallic silver with black accents, this item features a 'display screen' with a transparent graphic reading 'Translation Mode: >Active' which is backlit blue when the button is depressed and is powered by four A27 sized 12 volt batteries. 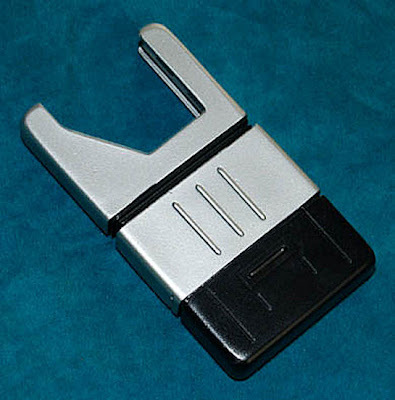 The battery casing is accessed by pulling the silver and black sections away from one another carefully. 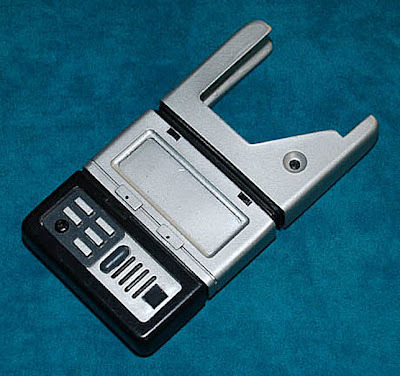 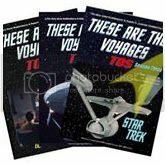 The item is made to have a Starfleet communicator (sold separately) fit down into the placement at the top and measures approx. 4.25 x 2.6 x 0.6 inches.